If the schedules and screens are making you feel like you’re losing track of or losing touch with your child, it’s time to simplify. “Too much” is overwhelming and stressful, whether it’s too much stuff, too much information, too many activities, too many choices, or too much speed – always hurrying from one task to the next, never a moment to relax or play. Having and doing too much can overwhelm a kid and lead to unnecessary stress at home and in the classroom. Simplifying a child’s routine and cutting down on their information and activity overload, as well as excessive toy and clutter piles, could help overstimulated kids become less argumentative and disruptive. When you simplify a child’s world, you make space for positive growth, creativity and relaxation. 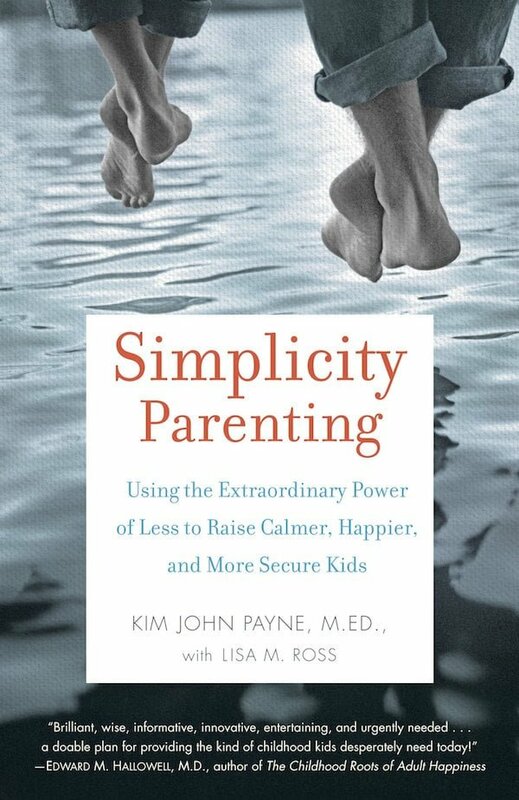 “Many of today’s behavioral issues come from children having too much stuff and living a life that is too fast,” says Kim John Payne, author of Simplicity Parenting: Using the Extraordinary Power of Less to Raise Calmer, Happier and More Secure Kids. 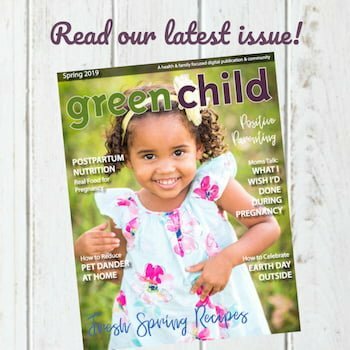 Payne says that many American kids are experiencing sensory overload with “too many trinkets, too many choices and too much information.” By approaching parenting using simplicity as a framework, parents may be able to significantly reduce a child’s daily stress, which can lead to happier, more successful children. The easiest way to get started is with your home environment. “As you decrease the quantity of your child’s toys and clutter, you increase their attention and their capacity for deep play. Too much stuff leads to too little time and too little depth in the way kids see and explore their worlds,” says Payne. When clearing out toys, focus on keeping a mix of toys that your kids consistently enjoy and that keep them entertained for long periods of time. Often, kids’ favorite toys are simple, classic toys without lots of bells and whistles – stuffed animals, dolls, building toys such as Legos, trains and cars, dress-up clothes, and arts and crafts materials. Whittle down books to a handful of favorites that can be savored, and remove the rest to create a “library” to find new reads one or two at a time. Add in some fabric, string or pillows for creating forts and playhouses, then give your child some time to adjust and create his own play world from this simple selection of toys. Along the same lines, simplifying your family’s schedule can reduce the frantic feeling of always being on the go. 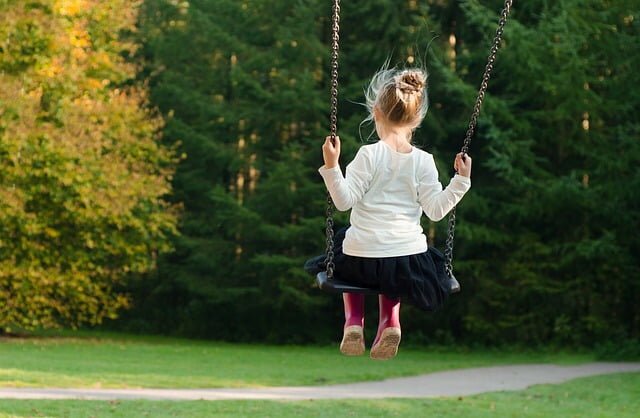 Kids with a full plate of school work, extracurricular activities or sports each day may feel stressed and chaotic since they’re lacking the free time children need for creative play and exploration. And when you set effective screen time limits, you’ll keep your child distraction-free and help her learn to find joy in the present moment. As a parent “taxi,” you probably aren’t feeling all that relaxed either. Cutting back to just one or two of your child’s favorite activities can give them the freedom not only to have that time to play and explore, but also the time to actually practice and focus on the activities they do choose to partake in. Reducing the physical clutter, setting predictable rhythms and streamlining activities has benefits for parents too. “As parents, we also define ourselves by what we bring our attention and presence to. This is easy to forget when daily life feels more like triage,” says Payne. By simplifying, we can concentrate on what we really value, not just spend our days reacting to everything the world throws at us. Having fewer toys benefits a child’s imagination and sense of calm. Simplification is an ongoing process, not something that can be completed in an afternoon or weekend. It takes time to reduce possessions, change habits, and develop new rhythms. It’s not easy to change directions when your whole family is moving at the speed of light and the chaos always feels like it’s creeping in. Begin slowly, with small changes and an eye toward what you want your family life to look like. With simplification we can bring an infusion of inspiration to our daily lives; set a tone that honors our families’ needs before the world’s demands. Allow our hopes for our children to outweigh our fears. 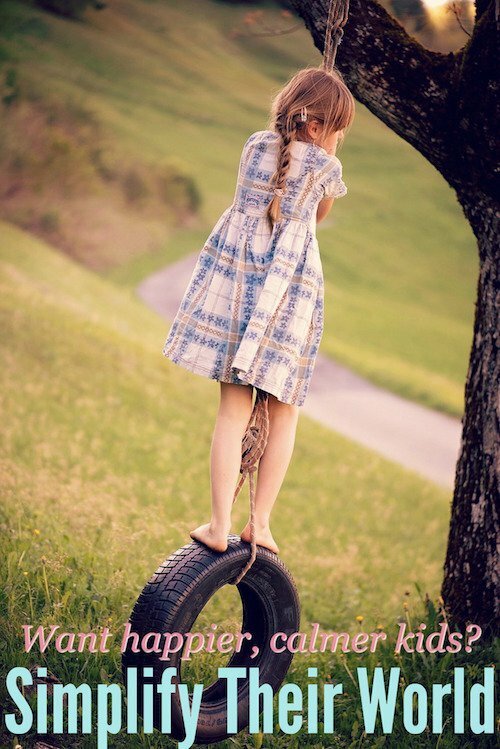 Realign our lives with our dreams for our family, and our hopes for what childhood could and should be. What better reminder do we have than our kids of our own best selves, our less stressed and more carefree selves? In their silliness we see the echo of the way we used to be: when we were kids, yes, but also before we had kids, or even two weeks ago, before all of the stress of these year-end corporate meetings. Their joy, their infectious enthusiasm, their sense of “mission” as the poor dog is dressed in boxer shorts, cannot help but cajole you, and beckon you, to lighten up. 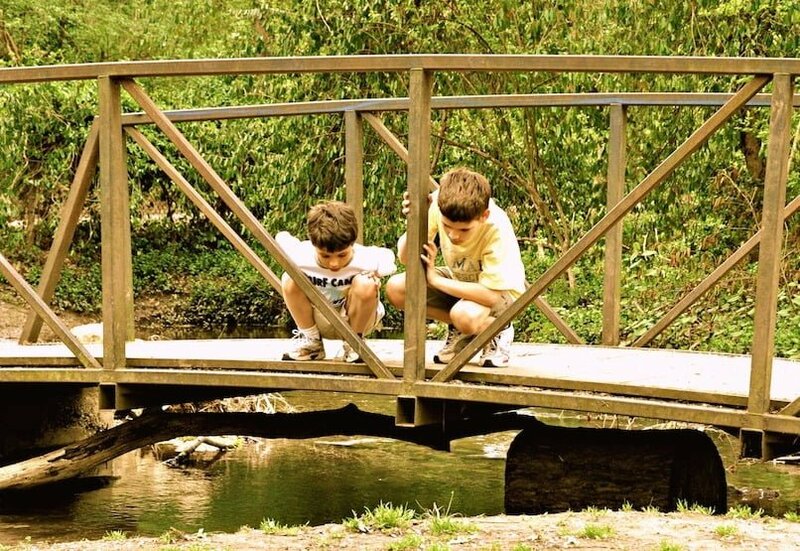 To simplify is to find a place of balance as you move away from “too much.” Only with less can children figure out what they truly like and want. Sandy Kreps helps people simplify their lives so they can live with intention in a sustainable way. By focusing on simple living, organization, and time management, Sandy helps families find calm in the chaos. Get her free ebook, 101 Ways to Simplify Your Life, at modernsimplicity.org/hello. You can also get her free 5-day Christmas Challenge at modernsimplicity.org/christmaschallenge. Thank you so much for this awesome post. 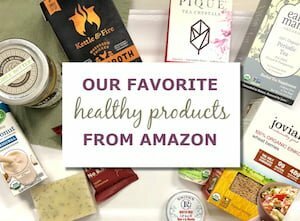 It is SO important and I even featured it on my blog today too! Love this, and it is so true. Kids are ofter overwhelmed with too much and don’t know what to do. Your point that kids need downtime is well made. Kids do need downtime, to let their mind focus, be bored, and without the stimulation of electronic devices. Loved this article. I have seen children who are over stimulated and they are unable to enjoy what is in front of them. Some of our best times with our grandchildren are playing a game, or doing something outdoors. Even a bucket of chalk in their hands can transform a driveway, creating a place we can walk into. I enjoyed all your valuable information. Love this article. Thank you for writing down this thoughts. It is so important to bring it to families and into the world of early childhood education. Great tips on simplifying. It’s interesting that Disneyland was used as a comparison. That is one of our families “common threads” as well as, camping, biking, watching movies and many more activities. Simplifying our daily life has allowed so much more room for the fun stuff. I really enjoyed reading this. It is true for adults too I think. 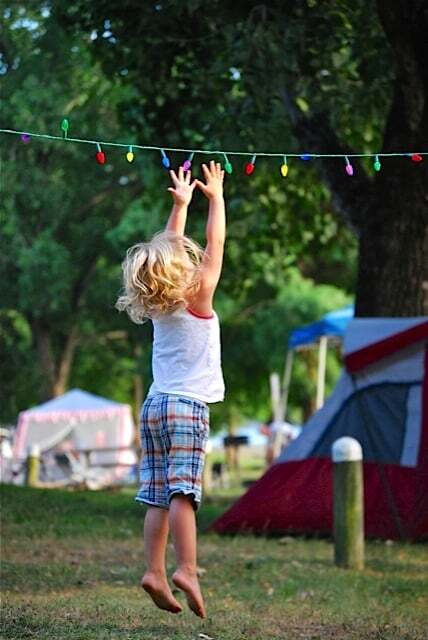 What a huge difference I see in my kids now that we got rid of everything and moved into our RV. We have simplified our lives so much and it’s so good to be completely stuff-free and to spend as much time as possible out in nature! They are calmer, content, focused, and so much happier!! As a teacher of 8-11 year old children ,in Australia, some 40 years ago, I had constant confrontations with parents who insisted on their child being given homework!!!! I had to remind them that their child had been at school for 7 hours, and what they REALLY needed was to go home, have a healthy snack and a drink, THEN GO OUTSIDE and PLAY!!!!! When my own children arrived some years later, I practised what I’d preached- AND my two had ONE HOUR of television PER WEEK (not a typo!! )They had to watch the same program, so some good negotiating skills were learned.Even when they were teens, TV was limited.They were each allowed ONE sport each summer,and none in winter(so we could do family things together). One child did piano, then saxophone, while the other liked to ride a bike ,roller blade and shoot baskets at home.Both of them excelled at school, even though not naturally studious- one is a specialist secondary school teacher,the other is a doctor. Both have 2 degrees each. People told me they were the most grounded young people they knew. I am so VERY grateful that ‘screens’ were not around when they were growing up! !